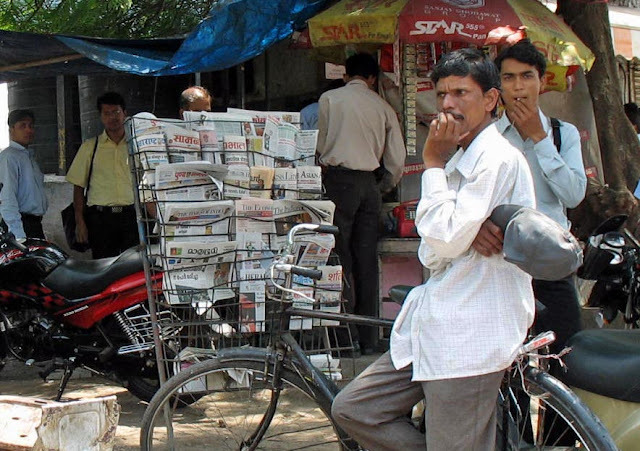 These are pictures of street vendors selling newspapers and magazine in India. You can find them in almost every corner in the heart of any city. 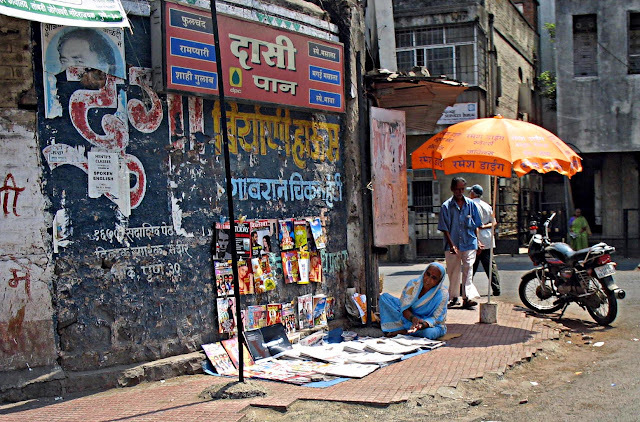 Here is a woman newspaper and magazine vendor sitting at a corner on a pavement in Pune, Maharashtra. She has stuck magazines on the wall of a building which also has torn posters and faded wall paintings. 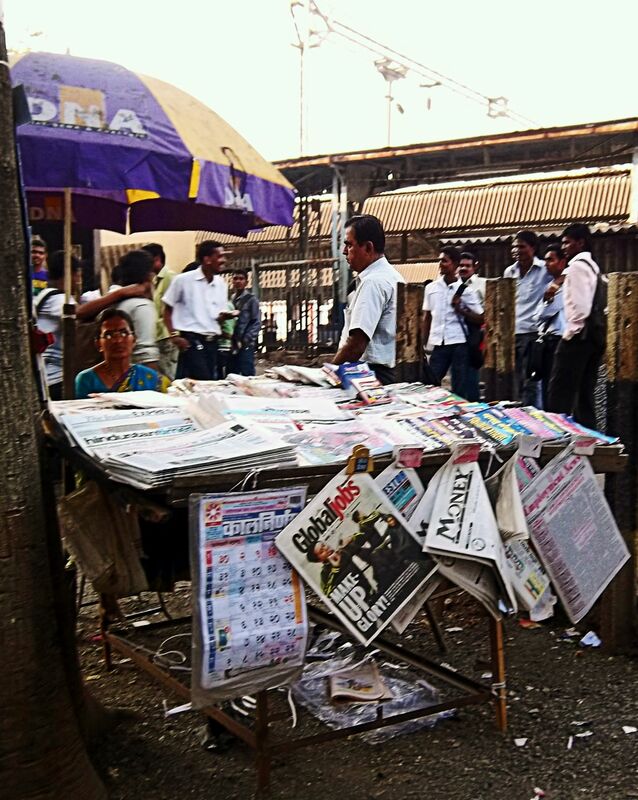 This lady newsprint vendor is sitting outside a suburban railway station. A sun umbrella has been provided for her by the newspaper DNA. Different type of newspapers are for sale as well as tabloids like Global Jobs and Money. Kalnirnay, a marathi calender with all the festivals marked in details is also on sale here. 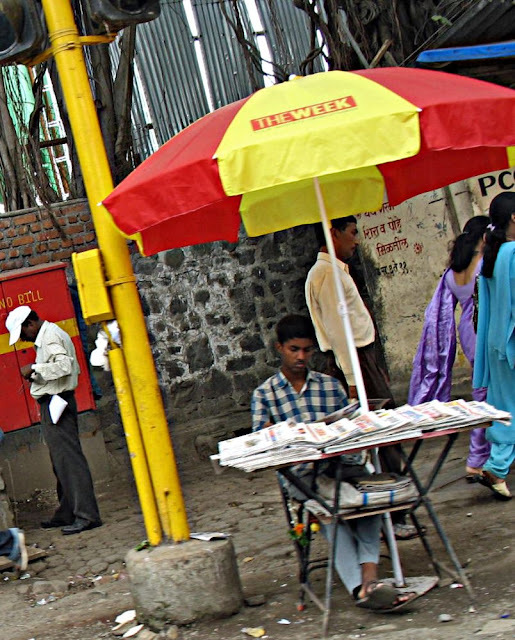 A small-time newspaper boy vendor sitting at the side of a small road under a sun umbrella in Mumbai. The magazine The Week has provided him the umbrella. A newspaper vendor's stall selling Marathi newspapers in Pune. A small tobacco shop is in the background. People often come to relax here, have a cigarette and read a newspaper.